Use a heavier-weight art paper with a richer finish and are individually hand signed by Richard. Please allow extra time for delivery pending Richard’s travel arrangements. Get in touch if delivery by a specific date is required. Average wait time is 1 week. Delivered in a sturdy tube ready for framing by yourself. 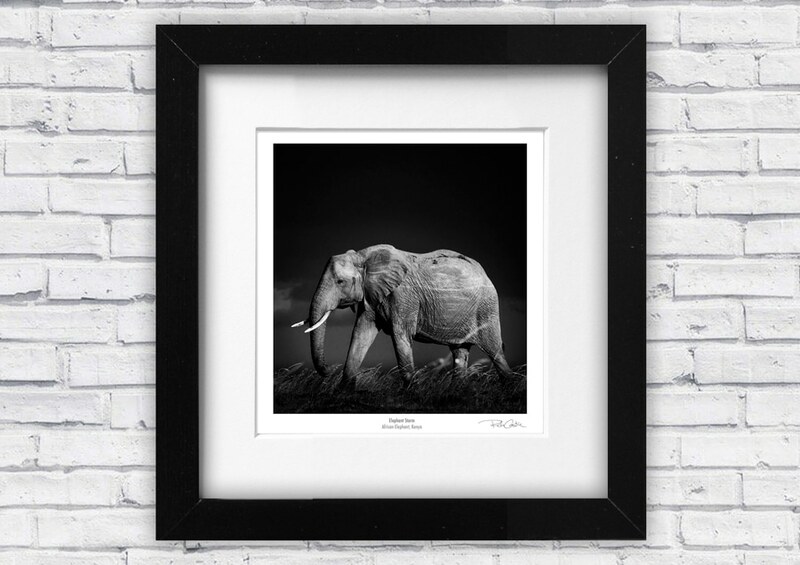 Our framing option is of a very high standard and your print is supplied mounted and ready to hang. Frames are in a grained black colour. Please allow an extra week for delivery.